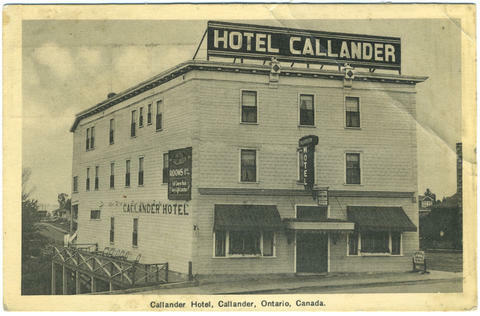 Item 025 - Callander Hotel, Callander, Ontario, Canada. Card was cancelled at North Bay, Ontario, 9 September 1946. Card addressed to: Mrs. John Campbell. 1977 E. 116th st. Cleveland, Ohio. U.S.A.